Renée Dinnerstein has over 50 years experience as an early childhood educator. She has taught both in Italy and the United States and has spent eighteen years as an early childhood teacher at PS 321, one of New York City’s leading elementary schools. She was the teacher-director of the Children’s School early childhood inclusion annex and worked also as an Early Childhood Staff Developer in the New York City Department of Education, Division of Instructional Support, where she wrote curriculum, led study groups and summer institutes, and helped write the New York City Pre Kindergarten Standards. Renée, a past member of the Teachers’ College Reading and Writing Project Early Childhood Reading ‘think tank’, taught in the project’s summer institutes and presented calendar days for kindergarten and first grade teachers. She received the Bank Street Early Childhood Educator of the Year Award in 1999. Her book CHOICE TIME: How to Deepen Learning Through Inquiry and Play (Pre-k – Second Grade)was published by Heinemann in August, 2016. It is heart-warming to recognize many of the students in the photos at the top of the blog. This year they are high school seniors searching for college. I sincerely hope that they carry the legacy of inquiry and play with them as they grow into adulthood. Thanks for the great start and I am looking forward to reading the blog! Hi Joyce. Do you remember when Vicky started kindergarten? She was so frightened. Elizabeth seemed not to have any separation problems in her kindergarten class and I began to wonder if I was not ‘welcoming’ enough. However, by the end of the year and certainly during our first grade year together, she was so confident. And now…they’re getting ready for college. Amazing. I wonder if Vicky has any memory of Choice Time? Hello Eve. I have heard about you for years, but somehow our paths never crossed. I would LOVE to visit your class at P.S. 32 (in Brooklyn or Manhattan?) It’s wonderful to have you ‘on board’ with this discussion. And thank Wanda for passing on this blog. I think that the next step here is for me to share how I ‘see’ Choice Time. I’ll think more about that and post it next week. I’d love to hear about Choice Time in your kindergarten classes and how it looks in pre-k.
Have a good first day back on Wednesday. Finally able to read your blog, I found it very interesting, and of course I agree 100%. As an art teacher in pre-school and elementary school, I too built up concentration time gradually working with 3-5 year olds, and in the end was surprised to find them not only working a full period and hating to have to stop, but even wanting to return to previous session’s projects the next class, (I only had them for one 40 min. period a week–30 min for 3 year-olds). I too kept them on one project, and with a few exceptions just one piece of paper, and gave out materials gradually, an extra color up my sleeve, for example, would keep them going when they thought they had already “finished”. I just wish I could have been a fly on the wall of one of your classes. Your job was so much more complicated than mine. It was hard for me sharing classes with other teachers who, as soon as a child said “I’m finished”, provided an alternative activity. They never left the work table with me except to get supplies or to clean up. Also the issue of choice, starting with less “flashy”, often very neutral materials, patterns or colors and gradually adding little “treats” such as more exciting little tidbits for a collage, or a black crayon kept the students excited and eager to continue. I found that experimentation, exploration and trial-and-error are enough to stimulate students in art. They do not need “flashy” materials to motivate them. We underestimate their ingenuity and capability to concentrate if we think otherwise. Just writing this does give me a sense of nostalgia for my little artists! Congratulations on your blog. Forgive me for talking about me, but I wanted to express my appreciation for your ideas and my total support. The difference for a child’s future teaching such as yours makes, is inestimable….you help create thinking, discriminating citizens, and heaven knows we need as many of them as we can get these days. I have a wonderful memory of visiting your art class at the international school where you taught in Rome. You were so clear with the children and so open to their ideas. I still have the photographs of your student’s wonderfully creative, expressive work. I loved the way the studio was set up. It didn’t have too many materials, but it had a good selection available for children to choose from. Choose is the key word here. Children were encouraged to make decisions. Have you ever considered doing consulting, helping teachers by sharing your skills and knowledge? You probably do not remember me, but you have had a huge impact on my teaching philosophy. I was graduate student at Brooklyn College- Early Childhood Education 14 years ago. Your class was the first course I took in the program, I was a second year teacher and still trying to figure things out. Everything you taught us, introduced us to, had us read just made perfect sense to me. Over the years I have taught many grades level from K though 6 and no matter what grade it is, I incorporate Choice Time into my curriculum. I have thought of you many times over the years. I still have my Joyful Learning book and reference it frequently. I am happy that I found this site because now I can take the opportunity to Thank You. Thank You for helping me develop my craft as a teacher. You made my Sunday! I’m so glad that the class had such a positive influence on your classroom practices. Choice Time in grade 6! Wonderful!!! I’d love to hear more about you. Where are you teaching? How did you find the blog. Blogging is quite new to me and I’m trying to figure out how to reach more teachers. I’m looking forward to hearing from you again ! I’m so glad I made your Sunday. I found the post you put on insideschools.org and it lead me here. I am teaching in Far Rockaway, District 27. I have just returned to teaching after being out on childcare leave for 7 years. For the 3 years previous to going out on childcare I was a District Staff Developer, but for my ease back into things I returned to the classroom and I have to say I love it. Looking forward to hearing from you and keeping up with your blog. Thanks for coming to visit last week. I’m very new to this “blogging”. I look forward to connecting to your blog to learn and see all the interesting things you and others have to share as I work toward improving our center time. I’m sending you this response and hoping that I’m making the right connection. Yes, you made the right connection! Thank you so much for letting me visit your classroom during choice time. If you’d ever like to get together for coffee to have ‘choice time talk’ I’m available. Meanwhile, now that you know how to ‘make the connection’ I’d love to hear what your thoughts are in response to some of the entries. I’ve started reading your website/blog. I find it very interesting. I don’t know if we’ve met. I spent 25 years at Central Park East Elementary School. It’s a school that values choice/project/work time. We built our curriculum around the work children did during their project time. Are you familiar with CPE? I’m going to look for more information about your background. I’d like to expand our conversation, if that’s okay with you. Yes, I certainly know of Central Park East although I’ve never actually visited. It’s on my “must do” list. A few months ago I met a teacher from CPE, Yvonne, and I’ve been meaning to contact her so that I can visit her classroom. What grade did you teach? I’d love to have your input on the blog. I’m sure that there’s so many ideas that you can share with me and with teachers who visit the site. I’ve done professional development at The Brooklyn New School which was modeled after CPE and I’ve loved working in such a child-friendly environment. I’m so glad you’re writing this blog–you have so much insight to share! My kindergarten teaching improved exponentially as a result of participating in your study groups (back in the day of the Division of Instructional Support), and to this day your influence informs my pre-kindergarten teaching. I remember feeling that you were always so well prepared for those study groups; unfailingly I came away with a great deal to ponder and implement. Herb I loved those study groups. I couldn’t get over the dedication of all those kindergarten teachers. After a long day of teaching, they came to these study group discussions, with no financial compensation, because they wanted to explore ways of keeping kindergarten a joyous place for children while still addressing the state standards. I did feel a tremendous pressure to make the sessions worth while. I’m so glad that you found them helpful. I’m also glad that you came and gave me a chance to meet you! Renee, I came across your blog after putting in a search called,”Whatever happened to dev. appropriate practices in ECH?” I have been working in ECH for almost 20 yrs and am currently a parent educator for a Parents as Teachers program in Michigan. (ages 0-5). I am going to submit a workshop proposal for our PAT nat’l conference, that deals with the role of ECH educators and the current standards based movement. I loved especially your comments on, “Is kindergarten ready for the child?” That attitude is SO not happening from what I see. This is the exact thing I have been preaching about for years, and I get so discouraged. Even my own program’s premise is “cultivating kdg. readiness skills” with parents. The problem is a widespread misunderstanding of what this readiness really is, as well as the best way to “get there.” Every single week I give examples to parents of hands-on, fun literacy activities and they still will buy the workbooks and flashcards or those ridiculous leapfrog systems..all well meant. But if their child is a boy in particular, they will resist these things, and then the parent ends up getting frustrated with them..already starting a negative cycle of learning. I think that the parents and children in your program are so lucky to have you start out their education. Loris Malaguzzi, when questioned about how children from the Reggio Emilia pre-schools dealt with the very rigid, structured state elementary schools, said (I’m paraphrasing) that most children go into those schools with only two pockets to pull support from and the children from his schools all have a third pocket that they can reach into. It sounds like you have given your children that third pocket. I’m wondering if you, and other teachers from your center, have had communication with the kindergarten teachers in schools that your students will be attending? Perhaps some intervisitations, meetings, round table talks, etc. might be helpful. Would it be worth a try? I just happened upon your Site and I’m glad I did. I am a nyc public school pre-k teacher, here is my pre-k classroom blog http://missmerril.blogspot.com . I have sort of a personal appeal since I am in NYC as well. I would really like input and professional support regarding my implementation of the Reggio philosophy. I am essentially reading Reggio books and then implementing what makes sense for my population. I am lucky to have the freedom to do so but have reached a point where professional support feels necessary. If you happen to know of any staff developers or other professionals studying how Reggio can be employed in an urban, public setting I would be most grateful for any leads. That is quite a bit to ask for, but it never hurts to try! I really enjoyed looking at your website. Your class seems quite wonderful. I’d love to know more about your school. What is happening in the kindergartens? Are the teachers interested in Reggio? I am working in a few public schools in New York doing inquiry project work. I wouldn’t dare call myself a representative of Reggio Emilia but I’ve been there twice, read a lot about it, taken part in some study groups and also attended many workshops, both here in New York and also at Lesley College. I’m trying to help public school early childhood teachers incorporate inquiry-projects into their curriculums and also to help them develop inquiry-based Choice Time centers. I hope to keep hearing from you! Perhaps I can visit your class someday this school year. I too am a kindergarten public school teacher incredibly interested in the Reggio approach and implementing pieces of it into my classroom! I discovered the Beautiful Stuff project and did it with my children this year in connection with a recycling exploration we were doing within our school. It was the highlight of my year and perhaps my 4 years of teaching kindergarten so far! I wanted to follow up on this conversation from a few years back…have you heard of any summer PD work teachers can do to gain more knowledge of the Reggio approach?..I see that there is a NYC Reggio institute next spring and I am hoping my principal will allow me to attend! Do you know of any Reggio representatives that come to NYC public schools? There will be many workshops in NYC this coming year to coincide with the Wonder of Learning exhibiotion from Reggio that is coming to the city. In the meantime, I would suggest that you attend the WonderPlay conference at the 92 Streeet Y on November 14th. Besides have wonderful workshops and speakers, its a perfect place to network with other like-minded teachers. I do professional development in NYC schools however I would not say that I’m a “Reggio consultant.” I combine what I’ve learned from my three trips to Reggio, the work of Lilian Katz, Sylvia Chard and Judy Helms, and my own over-40 years of experience in early childhood classrooms. Join experts and practitioners of the Reggio Emilia Approach at this year’s Annual Institute. Register today! Our 23rd annual Reggio Emilia Inspired Institute will take place at Lesley University in March of 2015. Please check back for details. The 2014 Institute featured Lella Gandini, US liaison for the dissemination of the Reggio Emilia approach to early childhood education, as well as educators and atelieristas from the MacDonald Montessori School in St. Paul, Minnesota. Part of a an ethnically diverse neighborhood, the MacDonald Montessori School is in a 113-year-old building, with 40 teachers serving 200 children, infancy through school age. The educators at the MacDonald Montessori School have been engaged in a dialogue between the Reggio Emilia and Montessori approaches for 19 years. The journey has been full of risk, joy, struggle and transformation. The journey has also enriched in very meaningful ways children’s learning and teachers’ relationships with them and their families. During the Pre-Institute, participants explored the Montessori/Reggio Emilia approaches through materials, focusing on painting and drawing. The focus of this institute was giving visibility to the co-construction of knowledge and meaning through documentation. It began with a presentation of documentation from the “Together for Families” program, which reveals the competence of young children. The impact of decisions about design was also explored. Participants collaborated in small groups using materials, with the process also being documented by participants. Meanings were constructed and decisions made about which stories to tell and how to tell them effectively. Participants also were asked to confront the tension between documentation as relationship and documenting to conform to standards. Jason Avery is an artist in the Artists at the Centre project in Hamilton Ontario, and has been documenting children’s work in the “Together for Families” program for over 10 years. Karyn Callaghan is a teacher educator at Charles Sturt University and founder of the Artists at The Centre project. She has led a Reggio Study Group in Hamilton since 1998, and is president, Ontario Reggio Association. Both Karyn and Jason have been keynote speakers and presented workshops on Reggio-inspired practice across Canada. 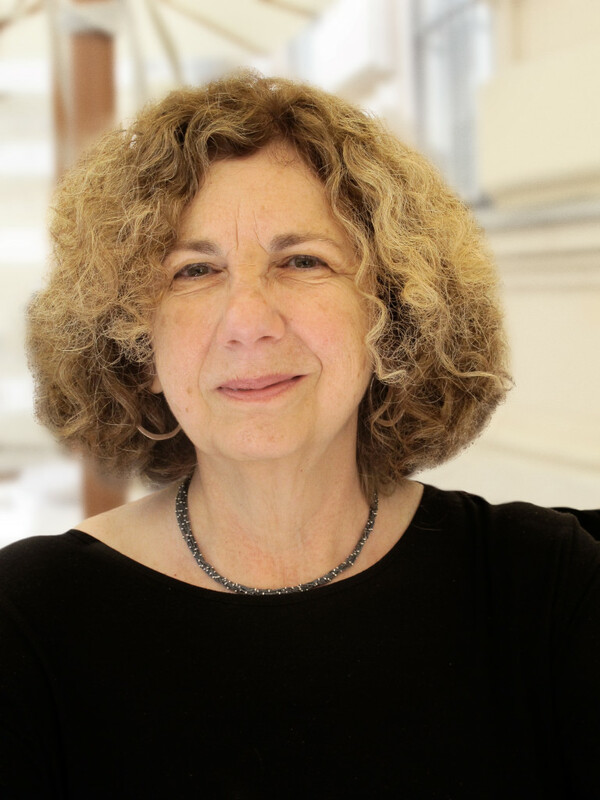 Lella Gandini is the U.S. Liaison for the Dissemination of the Reggio Emilia approach; editor and author of many books, including The Hundred Languages of Children; The Reggio Emilia Experience in Transformation 2012 and In the Spirit of the Studio: Learning from The Atelier of Reggio Emilia. She is also a visiting scholar at Lesley University, 2007-2013. Kristina Lamour Sansone is an associate Professor of Design at the Art Institute of Boston at Lesley University. She bridges graphic design and PK-12 education. For the past 20 years, Kristina has consulted for schools in New Haven, San Francisco, Austin, and Boston. She is on the design team for a new Boston Public School that will incorporate graphic design and Universal Design for Learning into all aspects of the curriculum. Carol Anne Wien is a professor in the Faculty of Education, York University, Toronto. She is the author of Developmentally Appropriate Practice in “Real Life”: Negotiating Standards in the Primary Classroom, and editor of Emergent Curriculum in the Primary Classroom, as well as many articles on emergent curriculum in Young Children and other journals. She has long been a student of the Reggio Emilia experience and one who loves the arts. Joanne Szamreta is a professor at Lesley University and coordinator of the annual Reggio Emilia Institute. In the greater Cambridge/Boston area, she also is a leader in planning & organizing a Lesley-NAREA learning community for educators focused on practicing the Reggio Emilia approach. She conducts research on professional development learning communities and is a consultant to schools. Wow, just discovered your site and it so complements our Canadian learning community’s observations. Thank you for your insight! I doubt you remember me, but I wanted to leave a comment because I was a student of yours in kindergarten at PS 321 in 1993-94. As a young child I didn’t realize what I profound gift I was receiving to have you as a teacher, but I now realize that you so greatly influenced my path growing up. Kindergarten experiences–in education, friendship and choice time–are some of my most cherished, and I am so glad to have had you as a teacher. You never made me ashamed to be curious, to probe and question; you encouraged my fledgling reading and inspired me to be thoughtful and care about others. Thank you so much for being such a wonderful teacher. Yours words are most precious to me. I think that I was so lucky to be working at something that I loved so much and finding out that it was so meaningful to my student is like the cherry on the cake! As a graduate student at Bank Street and a 1st grade teacher in NYC, I was thrilled to find your blog. I love your ideas for incorporating choice time into the curriculum and providing children with the time necessary to explore and understand their experiences in the world. I am in the midst of planning a 1st grade social studies unit on the bookstore for a curriculum class and stumbled upon your entry, “Improvisation.” I found your description of the choice time activities offered to your kindergartners during their study of the bookstore to be very helpful. I was wondering if you had come across any children’s books relating to the bookstore. I have been having trouble finding resources (both fiction and nonfiction) about the importance of books and bookstores and was hoping you might have some insights! There seems to be a plethora of books about libraries, but very few about bookstores. Any suggestions you have would be greatly appreciated! I’m sorry to be so late in replying to you. I’ve been extremely busy lately and had not checked my blog site. I remember having difficulty finding bookstore books. There was one that I had called (If I remember correctly!) The Bookstore Dog. At the time, we were also doing a study of ABC books and those were the ‘research’ books that children were looking. I’m going to check my old planbooks and see of I can find anything else that might be helpful. I’ll get back to you! Do you have blocks in the classroom? They’re really wonderful for children to use in recreating a library. Tell me some more about what you’ve been doing. It’s always helpful for other teachers to hear new ideas! I am a Pre-K teacher, and I am very interested in knowing what you think a good inquiry based Pre-K should look like. As educators we often receive mixed messages and are asked (pushed) to give homework and make more time for academics, in order to help our students become better prepared for the rigors of Kindergarten. I have taught Kindergarten, and I am in favor of an inquiry based or thematic approach to learning, especially for Pre-K and K students, but there doesn’t seem to be enough time in the day to successfully blend academics and inquiry into our schedule. At least enough to please the powers that be. I would love to know your thoughts, ideas and experiences on this very difficult quandry. Hello Elizabeth. This may seem prosaic, but I think that all early childhood classes should be joyful and infused with the enthusiasms, questions, experiments, investigations of the children. I don’t believe that kindergarten children, and certainly not pre-kindergarten children, should be given homework. However, I realize that there’s unavoidable external administrative pressure in some places to give homework assignments. In that case I would give something that makes sense. For example,” draw a picture of something that you love in your bedroom. If you want, you can write words or letters to say more about your picture”. Or, “make a map-picture to show me how you get from your house to our school. Put numbers to show where you start and where you stop”. Get the picture? I think that meaningful ‘academics’ can be incorporated into an inquiry-based classroom. Matt Glover and Katie Wood Ray, in their book Already Ready, write about meaningful writing in pre-k and k. Also, you can encourage children to write more by putting little blank booklets (papers folded and stapled) in the various centers so that children can ‘record’ their discoveries and surprises. You can also have relevant books in all centers for children to use for ‘research’. Don’t forget to give children opportunities to share, either at a whole class meeting, a small group meeting or by posting their work near their centers. Measuring and weighing implements should also be left where children will be able to access them. Bill told me that the children in his block center discovered a balance scale nearby and they began weighing the blocks! Perhaps if another group repeats this, he might give them some paper and markers for ‘recording’ with pictures and numbers their findings. I’m really curious to hear what you have to say about my thoughts. Hi! I am so glad I discovered your blog. I have a question about management of choice time activities. Do the children rotate like traditional literacy or numeracy centres? What happens if you have too many children interested in the water station at one time? Thank you. Glad to see that good things are happening in early childhood classrooms. We certainly need to support good practice and make sure teachers, administrators and parents understand what it is and what it looks like. We need the message to grow with more people advocating for inquiry projects, exploration and play that build and support children’s interests, curiosity and knowledge. I was in your session at NCTE this past fall and I am wondering when your book will be available? I’m finding your blog so inspiring, thank you for sharing and posting such great thinking. Thank you so much for your kind words. I really need to focus so much more on my writing. Hopefully this will happen next fall. I’ll be going to Reggio Emilia again in October and I think that will be the added inspiration that gives me more push to write. Please do keep on reading and responding to the blog. The thoughts and ideas of teachers and parents are so important to hear. How are you? My name is Melissa and I work for the Story Pirates. I just wanted to email you some information about our organization and offer you two comp tickets to our upcoming benefit on May 19. Is there an email address I might be able to forward you some information to? How are you? My name is Melissa and I am a member of the Story Pirates. I just wanted to send you some more information about our organization and also offer you two comp tickets to our benefit on May 19. Is there an email address I might be able to obtain to forward you some info? That is such a nice offer. Unfortunately, I’ll be out of New York on that date, but I’ll keep my eyes open for your productions. Good luck with your benefit! I am thrilled to have stumbled on your blog, and dismayed not to have found it sooner. Is there any chance you can categorize or add tags to your posts so it’s easier to browse without scrolling every single post? Are you offering any professional development opportunities in the near future? I’m a kindergarten teacher in Western MA but it’s not far from NYC…. What a lovely note from you. Thank you! I’m pretty new at blogging and don’t entirely understand the ‘tags’ but I’ll check it out and fix that up. added on second grade and next year I’m moving up to third grade. back to me. I also look forward to hearing more from you on my blog! I found your blog this evening and think it is wonderful! I teach in Iowa in a Head Start/school district (ECSE) collaboration program. We use the Creative Curriculum Gold and have been incorporating “studies” into our program for the past few years. It has been interesting how my own thinking/planning is changing as we are going through this process, although I am not fully converted (some of those “themes” are hard to give up completely). It would be wonderful to have someone like you to be a mentor to help guide our thinking as we introduce new ways of thinking and learning with our 3-5’s. I was wondering if you know of anyone in this part of the U.S. that does the same type of work that you do? Our closest contact right now is in Michigan . Thanks! When I work with teachers and introduce the inquiry project approach to them I let them know that they don’t need to change everything in their curriculum. What you might try is taking one of your themes and ‘tweaking’ it so that it moves more towards a project approach. I don’t really know consultants around the country but perhaps someone who does consulting in Iowa will read this blog and will get in touch with you. Why don’t you write back with the name and contact information for your school and then I will post that on my blog? You have, however, given me an idea of a new post to write about how, in one school, a transportation “theme” became a wheelchair study! Renee, do you offer any workshops in ny that are open to the public? Also, can you offer any great recommendations for books that build on the themes of your blog? I feel as if I’m figuring it all out as I go along…. Congratulations upon writing a book on developing literacy-rich and inquiry-based exploration centers in the kindergarten classroom! I believe that young children can greatly benefit from a daily Choice Time that may include developing significant cognitive gains that are different than other gains throughout the school day. I’m retired now but in my combined first and second grade, Choice Time met daily for 30 to 40 minutes each day. (However, Choice Time is also appropriate for younger and older children.) There were five learning centers – math, science, art, reading, and writing. They weren’t told where to go since I never felt that children’s intellects would develop in a lopsided manner. They would prefer activities that would help them grow. They wouldn’t select anything boring, and they weren’t going to be involved in something too difficult. They would decide upon activities of interest and often something that challenged them. They would choose something that kept their minds active which is such a great asset, not only for building and expanding concepts in Choice Time but for interacting in all areas throughout their day. So why would I attempt to choose a Choice Time activity for them? Therefore I didn’t. Your buddy Lucas from 276 here. I was wondering if we could open up a discussion about developmentally appropriate ways to help kids discuss/explore their feelings/experiences regarding hurricane Sandy. I know this isn’t exactly related to what you discuss on this site but I thought it might be very appropriate and helpful. Thanks! Lucas, that’s a good idea. I’m going to think about how to get this started. Thanks for your suggestion. Great blog, Renee. So much experience and intelligence in these posts! Many thanks. Thank you Jack. I loved hearing your perceptive interview of Connie Norgren on WBAI! I am enjoying reading your blogs and cannot wait for your book to come out. I am also interested in finding out more about possible professional development opportunities you offer. Please feel free to email me when you have a moment to start this conversation. Love your blog! I’m a public school kinder teacher in California trying to implement a more project based curriculum and really need help. Not seeing how to subscribe to your blog. Hi Eileen. I just added your name to my mailing list. I hope you find my book Choice Time- How to Deepen Learning through Inquiry and Play helpful. Thanks for the great block workshop today. Please add my email to your mailing list, and please come by and visit me at Grace Church School when your bionic knee is healed. I’d love to show you around my class. I am an old student of yours (I think it was 88-89) and have always remembered my kindergarten experience so fondly. I also remember Simone visiting the classroom (she must have been late teens then?) and was delighted to hear her on Sirius so many years later. I had to pull over a while ago to Google her and confirm that I had just heard her name and that she was indeed still playing piano! My son is less than a year away from kindergarten at a public school in Connecticut. I’ve been reading through your blog and sharing with my teacher friends. So great to see that the passion and PLAY BASED focus I benefited from so long ago is still alive and at work today. You have made my day! I wish that you could send me a photo of yourself at the age of 5. I feel like I remember your face! Have you checked on my book, CHOICE TIME: HOW TO DEEPEN LEARNING THROUGH INQUIRY AND PLAY [email protected] ? That might be something to share with your teacher friends and give as a gift to your son’s kindergarten teacher! I work with the NYCDOE Division of Education. I was hoping to you have your personal email so that I could reaching out regarding a potential PD opportunity. I emailed you with the information. I am wondering about your availability for a potential PD opportunity with a small group of Pre-K faculty at my school. I would appreciate the chance to connect. Thank you for the gift of Choice Time. I can’t tell you how many phrases resonated with me as I was reading! Exciting news! A team of full day K teachers in my district are launching a play in k initiative. We are using your book Choice Time as the anchor text for our implementation and curriculum writing. I too was wondering about professional development opportunities. Is there a school we can visit? Do you have more videos available of teachers interacting with students during play? First off, you just made my heart swell! Thank you for your wonderful message. read this on my blog and suggest schools too. our work together and I don’t spend time video taping. Here are some videos of a teacher who I have been working with for three years. It might be helpful. https://highqualityearlylearning.org/kindergarten-videos-2/ I’m determined to spend more time visiting and video-taping in schools next year (not when I’m working.) I’m going to be 74 in May and I keep thinking, “What will I do when I grow up?” That’s what I want to do…observe, video tape, share! Thank you again for writing to me. Let me know what you think of the videos on Beverly Falk’s website. I am just becoming familiar with your blog, your name, your work. I have recently started a Kindergarten Study Group (using Reggio terminology for PD for teachers) in Manhattan – all from Independent Schools so far, because we are more likely to have common struggles/concerns/expectations, etc. We are trying to meet once a month, each time at a different school, so we can also see each other’s space. Maybe some time you can join us for a session. I feel like you would be the perfect person to “arm” us for the ongoing challenge of protecting the experience of a true Kindergarten class. Hello Annie. What a wonderful idea for a Study Group. I’d love to visit with your group. Let’s try to find some time that works for me and for all of you. Do you include independent schools in Brooklyn? I’m doing some consulting work at Packer. I also might do some work at the UN school but that hasn’t been confirmed. Do they take part in your discussions?